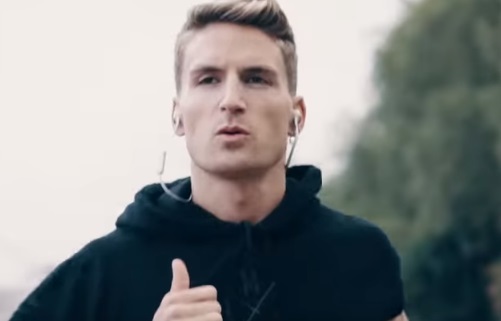 Fitbit gives people a glimpse into the life of Oliver Proudlock in the latest Fitbit Versa campaign. The Made in Chelsea reality star talks about his lifestyle and more in two spots that follow him throughout the day, from the moment he wakes up until late at night, and show how his Fitbit Versa allows him to track his activity, all day, every day. “Life is busy, so you have to make time. Being organised is key. Knowing your routine, your plan, your goals. Getting out of the door is vital. Because once you’re out, you’re starting it. Once you start, there’s no stop,” Proudlock is heard saying while on screen he is seen being woken by his Fitbit Versa alarm at 5:45, drinking a glass of orange juice, and getting ready for his morning run. He also says he runs because it gives him “time to think before the day really begins.” “I set myself goals and I constantly pushing myself to hit and, if I have time, I swear, a few laps in the pool it’s my cooldown, my transition phase from workout to work, so when my day really starts, I’m ready for whatever it throws at me” he adds. The end of the working day, at the headquarters of his fashion brand, Serge Denimes, is quite often just the beginning, according to the 29-year-old actor, who also says that London sparks his creativity and drives his business forward. The soundtrack music is the 2015 single “Life I Choose” by Cincinnati rapper Shawn C, composed and produced by Kick Lee. Earlier this year, Proudlock teamed up with McDonald’s to celebrate the Big Mac’s 50th anniversary. Thus, he joined Love Island’s Chris Hughes and TOWIE’s Joey Essex to recreate the classic 70s advert where the characters try to reel off the ingredients of a Big Mac as fast as they can.